If you're a well travelled Rokugani you'll be astutely aware how integral the code of honor is to society. 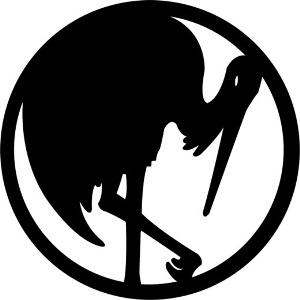 Whether it be a Crane duelist punishing a snide remark made against their lord, or a disgraced Lion samurai seeking death on the battlefield, honor is the main consideration for dictating behaviour. 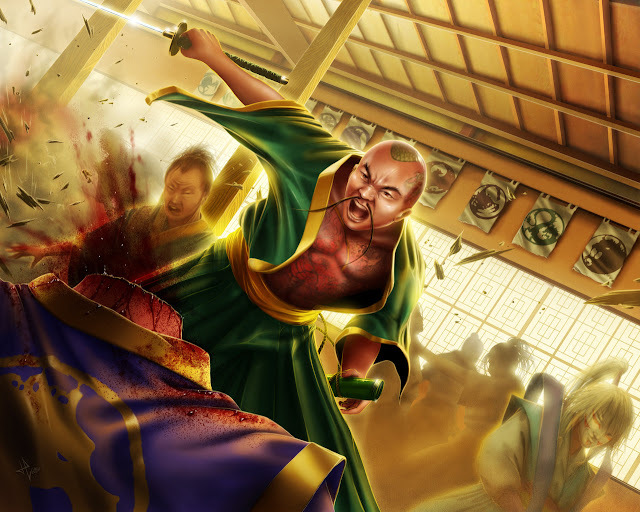 The old Legend of the Five Rings game had two win conditions involving honor. An honor victory by reaching 40 points, and a dishonor victory achieved by forcing your player down to -20. This system worked to a certain extent, but it also presented a few issues. 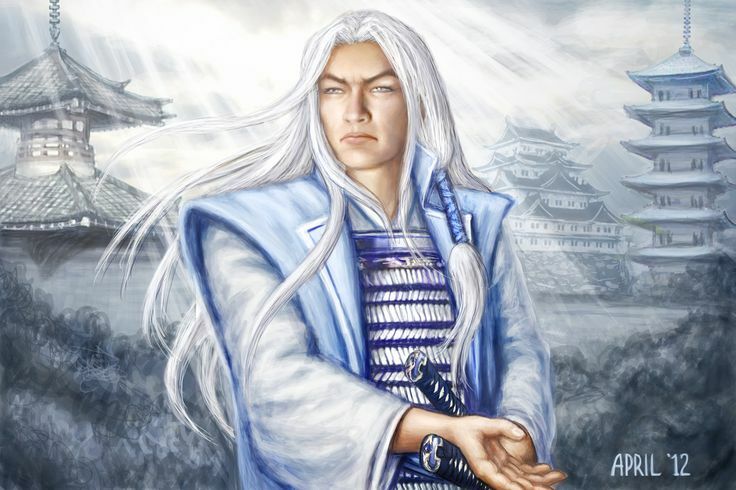 Firstly it meant that an honor vs. dishonor match up degenerated into courtiers feebly trying to take provinces, and secondly a Military vs. Honor/Dishonor match up revolved around frustrating the military deck long enough to either dishonor them or honor out yourself. Although none of this made the game unbearable, it never felt like a smooth or streamlined interaction. Fantasy Flight Games have recognised these flaws and built an honor system around addressing them. The honor and dishonor victory conditions remain, 25 points for an honor victory and 0 points for a dishonor victory, but one vital change is that courtiers can break provinces as effectively as military decks. This means that the honor vs. Dishonor deadlock can be broken pretty effectively, and that military and honor decks will both need to proactively attack provinces. This ensures the military deck doesn't feel like it's banging it's head against a wall, and the honor deck doesn't feel like it has to weather abuse for an hour! These are very positive changes which encourage far more interplay between decks employing different strategies. 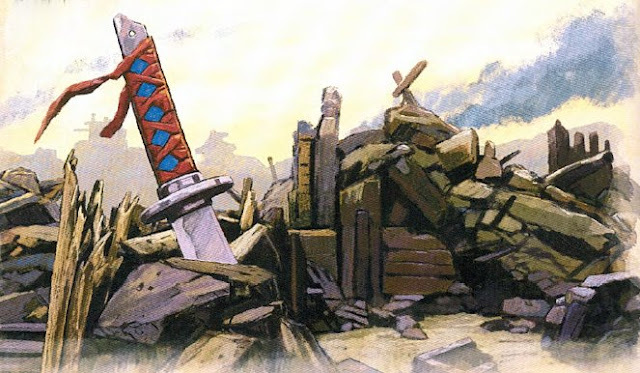 In part one of the "A Tale of Two Virtues" I lauded how Fantasy Flight Games through the fate mechanic, simplified a desperately muddled and complicated game while also keeping the essence of that game alive. While I stand by this, it's not entirely true for every area of the game. On the surface the new honor-bargaining card draw mechanic may appear simple, but the more you scratch the surface the more you understand how tricky it's going to be! To begin exploring this, let's look at the card draw step. Each player secretly selects a number between one and five on their honor dial. Each player reveals their selection. The player who selected the higher number gives their opponent an amount of honor equal to the difference between the two selected numbers. If both players selected the same number, no honor is exchanged. 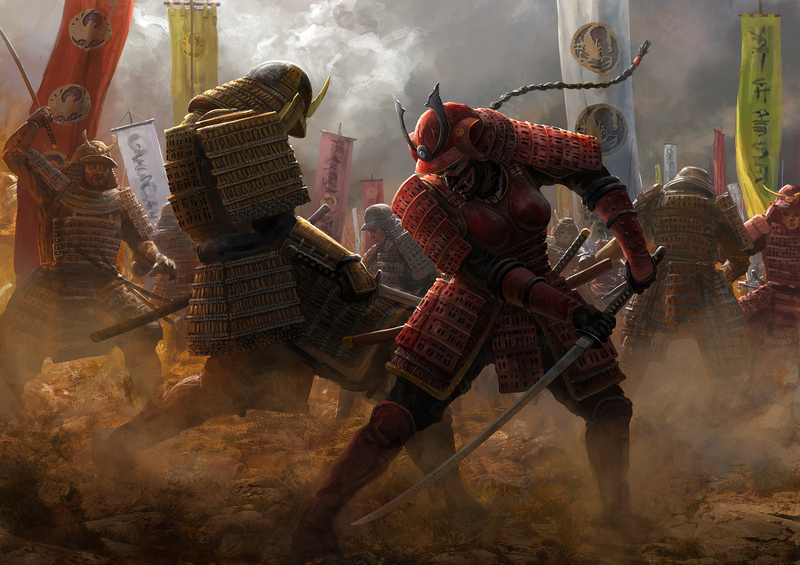 Each player draws a number of cards from their conflict deck equal to the number they selected on their honor dial. Traditionally in card games, players have access to a steady flow of card draw either at the start/end of a turn, or as a fixed action. 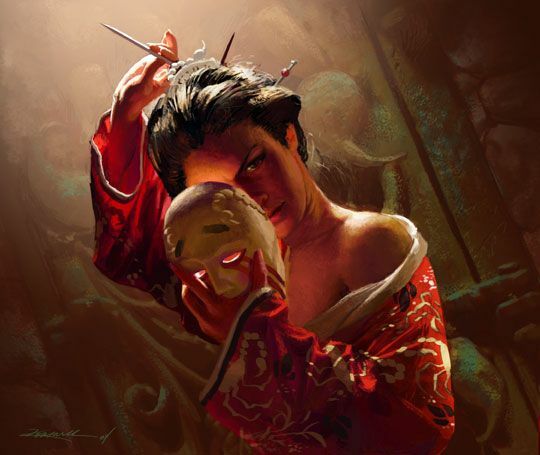 However, In the L5R LCG the players themselves decide how many cards they want to draw each turn, bidding a number between 1 and 5. Sounds great right? Not so fast, there's a catch! Each card you draw above 1 has potential to cause a 2 point honor swing, forcing you to transfer 1 honor from your pool to the opponents. This ensures that honor is an important consideration for every turn of the game no matter what kind of deck you're playing. At first this mechanic may take some getting used to as it's rather unique, however it provides a few interesting slants to the game. Firstly, it's a great vehicle for allowing players to express their own particular play styles. A riskier player is going to try and play their opponent when bidding honor rather than making a more mechanical decision, while a conservative player will be far more careful with how much honor they bid, perhaps choosing a value based on the minimum number of cards necessary to achieve victory. Another great aspect of this mechanic is that in each game there will be an ever evolving dynamic between the two players. I can envision the first draw phases being players trying to gauge their opponent and their particular play style, while the subsequent draw phases will be reacting to the flow of the game. For me the most interesting part is that each player you play against will be a different experience, even if they are playing a relatively common deck. This provides great variety in the environment, as well as allowing players to put their own stamp on each deck beyond construction. "The way of Bitter Lies is to embrace the madness of a fight. There is no reason, no elegance, to be found in battle - only confusion, blood, and death. Embrace it and you will find victory." As I mentioned above, even though this mechanic is simple in principle, it's quite complicated in practice. There will of course always be a "correct" decision about how much honor to bid, but because each players honor total is open knowledge, each should know what the "correct" bid is for each player. This leaves a lot of space for players to bluff. Player B is down to his/her last province and is under pressure to defend with 0 cards in hand and 19 honor. Player A has 1 honor and 5 cards in hand, pressing for the advantage. Player B knows player A can potentially lose due to dishonor if she/he picks anything more than 1. Player A and Player B both know that Player A will win the game next turn with Player B on so few cards. This creates a strange 50:50 situation, where based on this card draw phase the game can be won by either player within the next turn. If player A guesses that player B will bid 5 because he/she needs cards, then Player A can also choose 5 at no cost. However, if player B anticipates this and guesses 4, then Player A loses to dishonor. This creates an uncertainty where even though all the information is available to both players, there is no correct decision, and the game will be ultimately won with the gut! This type of variation and intrigue will make for some very memorable moments in both casual play with mates and in competitive play. These are the kind of tales that become legendary amongst players and I can see great stories on the horizon! 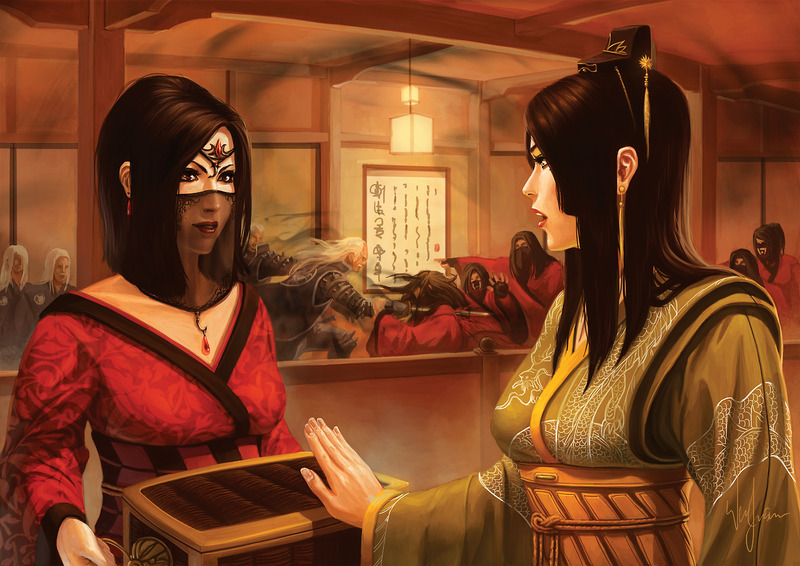 This honor bidding mechanic has been extended also to solve another problematic area of the old L5R game. Dueling long suffered from a similar problem to the Honor vs Military match-ups. When a player built and played a dueling deck, it was playing it's own mini-game. Your dueling deck would be built in such a way that you knew you couldn't lose a duel barring some terrible luck or aggressive meta cards, this made it a non-interactive affair since a military deck would just have to accept that they would lose every duel and get on with things. This devalued dueling which should've be a big part of Rokugani society. By moving dueling to the honor dial, everyone is on a more equal footing and your deck, aside from having to presumably include cards to initiate duels, will not require a huge amount of card support to ensure you have a fair opportunity to win challenges, whether that be through honest stat driven dueling, or a more underhanded approach by spending honor to win at all costs. All in all, It's clear that Fantasy Flight Games gave the honor elements very careful consideration throughout their development of the new game. Thanks to the new mechanics, honor will be a relevant factor to both players at every turn of every game for every deck, instead of being either absolutely essential or utterly pointless.